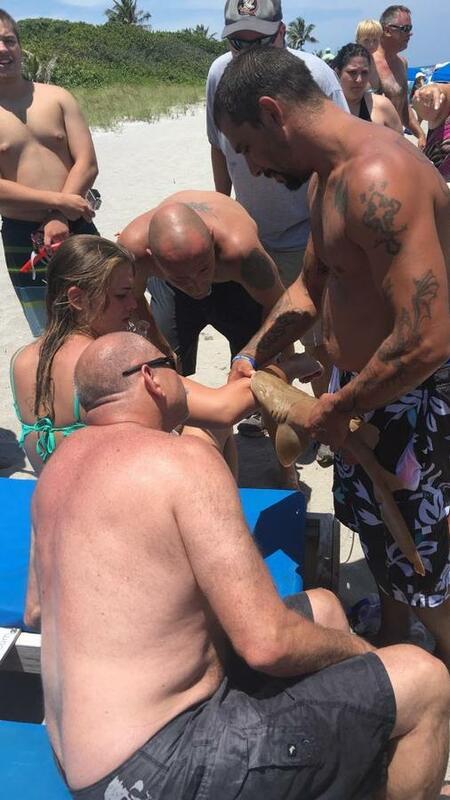 A 23-year-old Florida woman was taken to the hospital Sunday afternoon because of a shark bite. 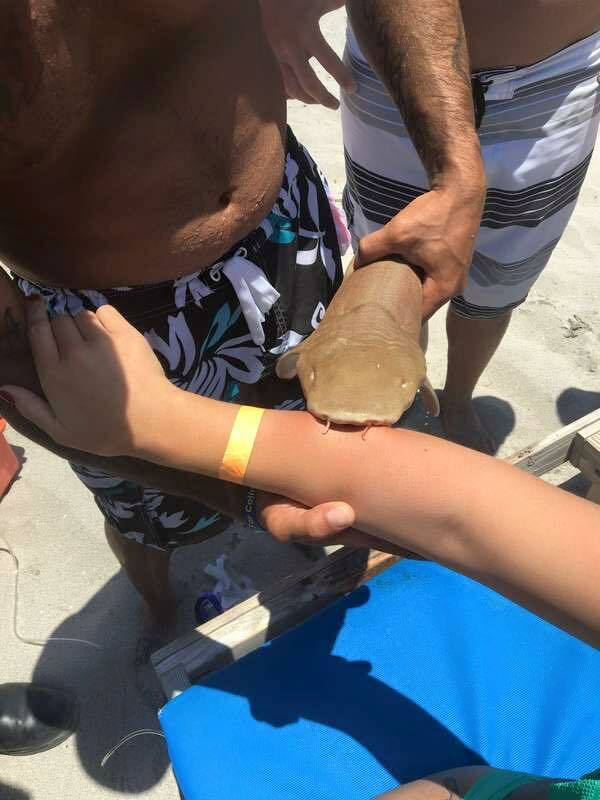 But, according to the Boca Raton Fire Rescue, the nurse shark was still attached to her arm. “I have never seen anything like it. 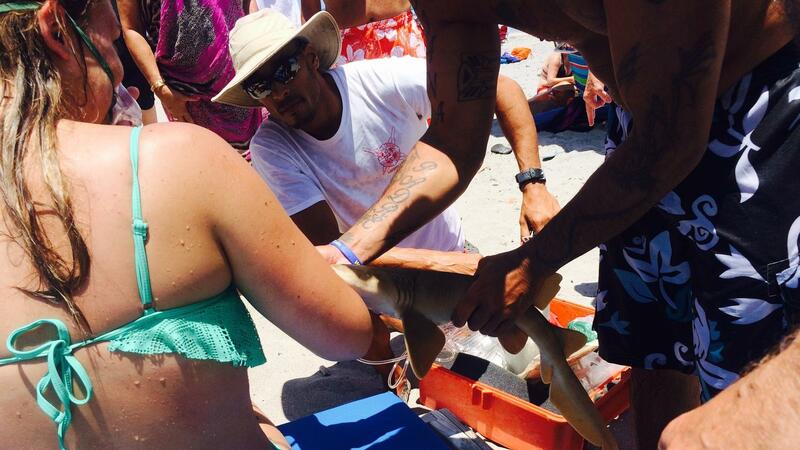 Never even heard of anything like this,” Ocean Rescue Capt. 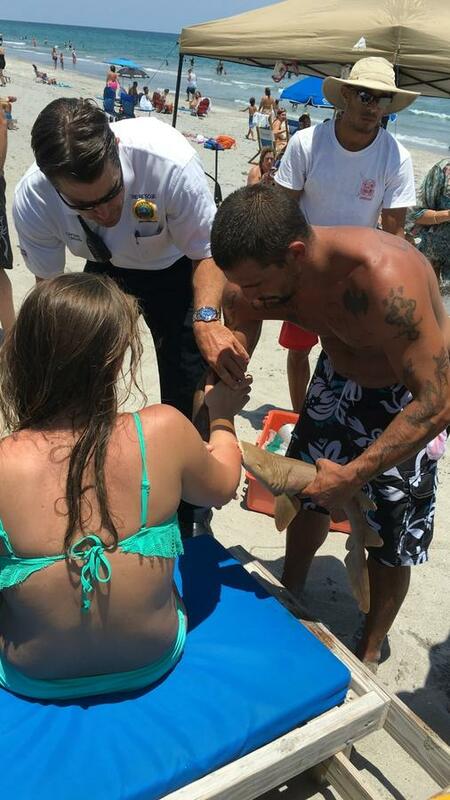 Clint Tracy, who saw the woman and the shark as they were transferred to an ambulance at Red Reef Park, said. The woman, whose name was not released, was taken to the Boca Regional Hospital by Boca Raton Fire Rescue and she is in stable condition, according to spokesman Robert Lemons. Nurse sharks are extremely common in offshore Florida and can grow up to 14 feet in length. The creatures are able to remain totally still as they breathe by pumping water through their mouths and out of their gills. In fact, according to researchers, the small sharks are sometimes seen stationary on the ocean floor. Nurse sharks are known for having strong jaws and thousands of tiny teeth. Maybe it was trying to check hemoglobin. Stupid woman - antagonises the shark then kills it. All I read this for was to see how the shark is. I was hoping for hospital photos of the wound. Rip it off like an 8 day old band aid!